This entry was posted in Ion Torrent Blogs and tagged Ion Torrent, Systematic bias, Variant Calling. Bookmark the permalink. Was it the G1k mitochondrial sequence? Or the one in Ensembl maybe? Hi Mick, thanks for the tips. 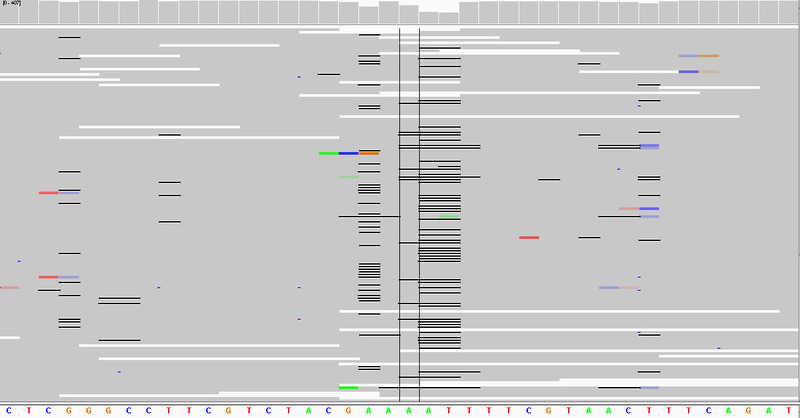 It is the G1k mitochondrial sequence (NC_012920) as you suggested, which is 16,569 bp in length. Hi, congratulation for the blog! we are planning to buy an ion torrent machine and so I’m very interested in what you post on your! I have a question, why are the regions of low coverage equal in the two runs and why the coverage plot in general is very similar? 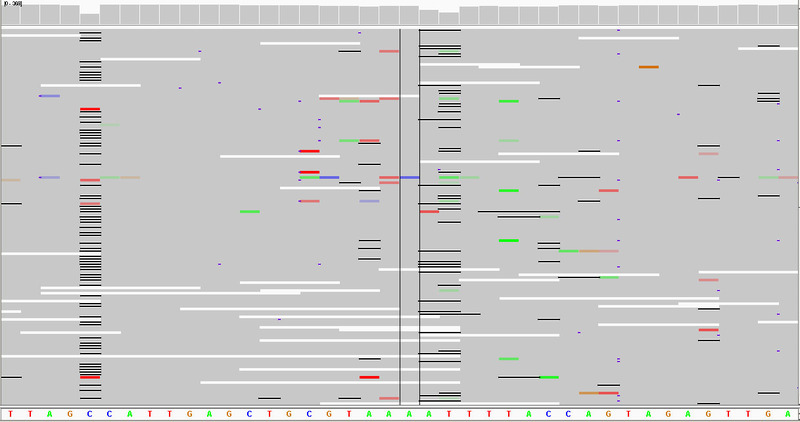 Considering this is a shot gun whole genome sequencing without enrichment phase, I would expect similar levels of coverage through the entire mitochondrial genome. Do you think that it could be due to the sample preparation or the sequence features itself? or something else? Andrea thanks for your email and perseverance in getting this comment up 🙂 Your question is very interesting as I thought the exact same thing 😀 I have triple checked my analysis to ensure it wasn’t from incorrectly using coverageBed in BEDtools. 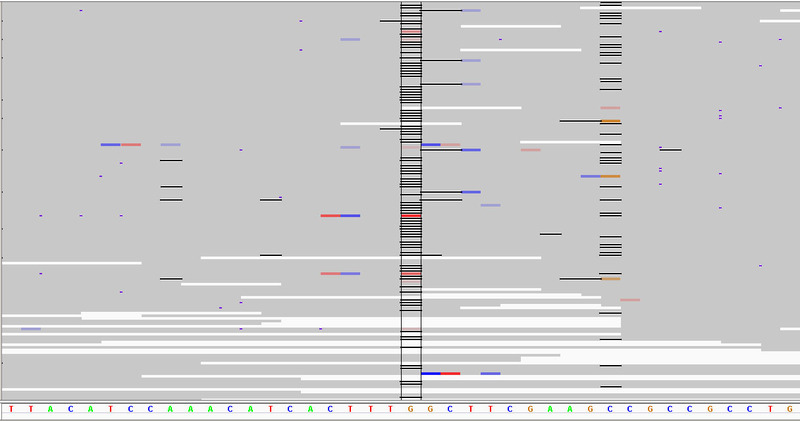 Firstly, the DNA was sheared using a Covaris followed by clonal amplification. This is a probabilistic event so can not result in entirely uniform coverage. Interestingly, when you look at the coverage over the nuclear genome you will see coverage peaks in repetitive regions. This is due to the abundance of repetitive regions and the difficulty to confidently map to them. 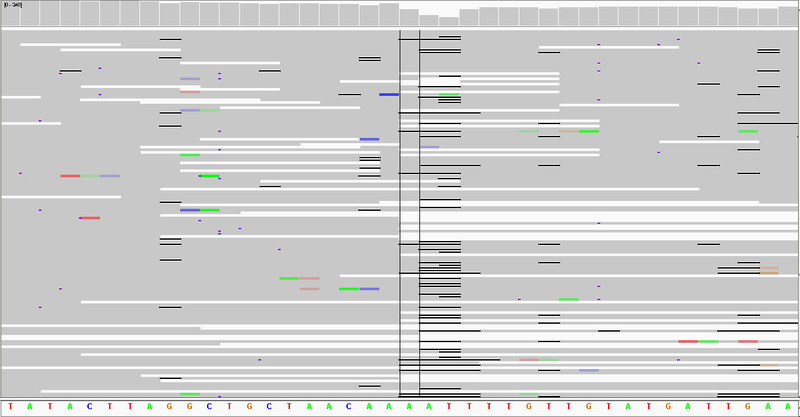 As the coverage peaks could be thought of as a “finger print”, the reason why the coverage from the two sequencing runs is very similar is that the same library prep was used for both runs. Someone please correct me if I am wrong with my interpretations. As far as I know, GATK disabled Indel calling for 454 reads due to large amounts of false positive calls because of the homopolymer problem. However, I can’t remember where I read that….